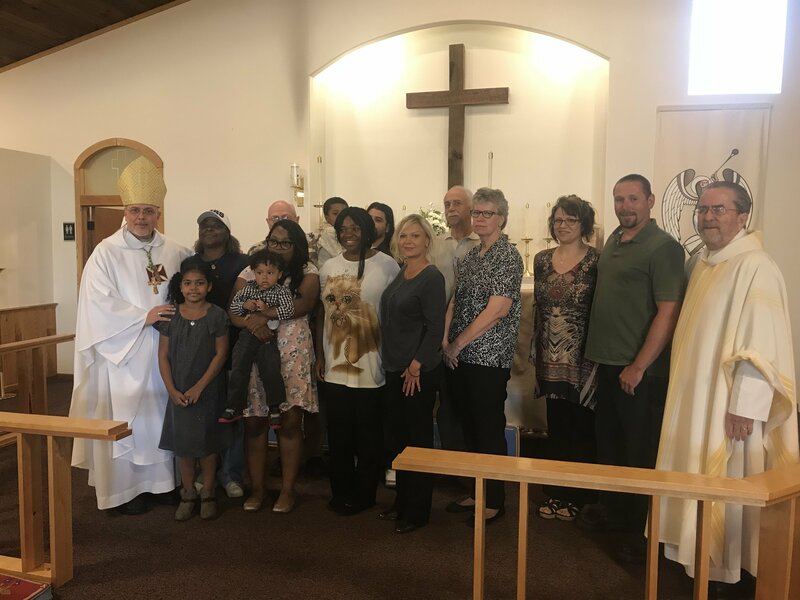 On Sunday August 26, Bishop Morales journeyed to Eagle River Wisconsin for his pastoral visit to St. Mary’s. There were three baptisms, 11 receptions, and six more individuals who were received in absentia. Bishop Morales tugged at the members heartstrings with a story about his grandmother’s comfort food. After asking members to name their favorite comfort food he preached on John Chapter 6 and described the Eucharist as comfort food for the soul. 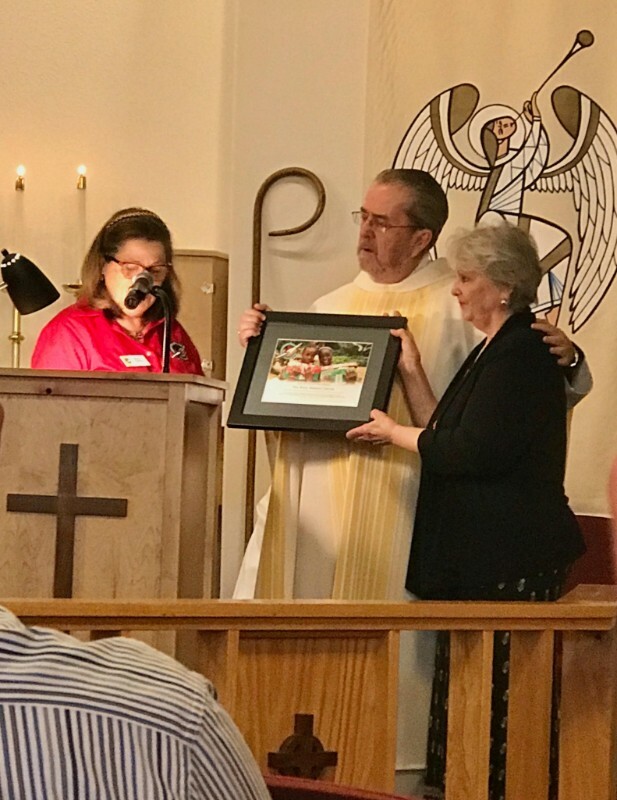 During the service Maria Nakhla, Regional Coordinator for Operation Christmas Child presented an award to St. Mary’s and its Rock Mission Center for 5 years of service as a regional reception center. 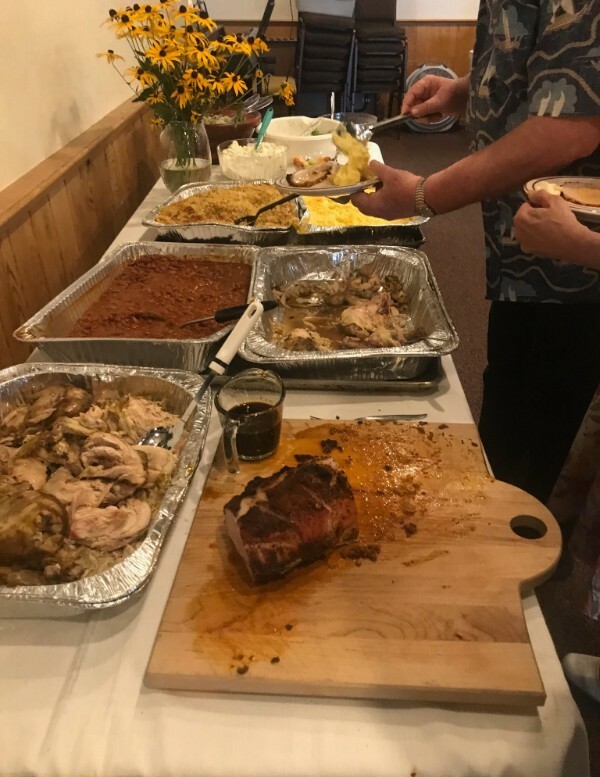 Speaking of food, at the reception which followed St. Mary’s member Chef Janet Sather prepared a meal of Puerto Rican comfort food including arroz con pollo, crispy pork tenderloin, polenta, and Puerto Rican beans and rice. The meal was topped off by home made cheesecake and a birthday cake for the bishop.